Home / Firings / BREAKING: Brewers Fire Manager Ron Roenicke (after a win)! BREAKING: Brewers Fire Manager Ron Roenicke (after a win)! Buster Olney just chimed in the middle of the ESPN Sunday Night Baseball broadcast to say that Ron Roenicke has been relieved of his duties of managing the Milwaukee Brewers to a last place finish in the NL Central. I added that last part myself. 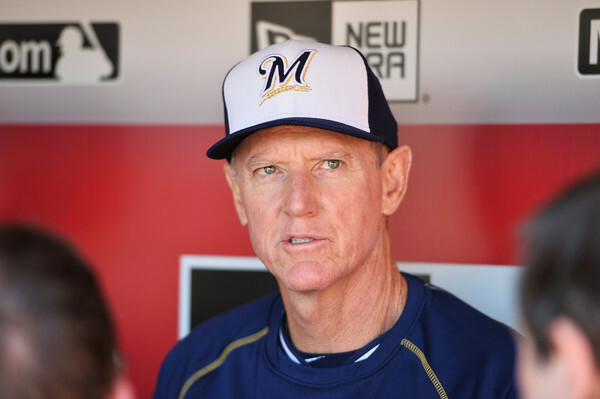 #Brewers announce dismissal of manager Ron Roenicke. This is kind of a rare thing – not the Brewers firing a manager – but Roenicke just won a series at Wrigley Field. The Brewers won today 5-3. He’s a lifetime 342-331 manager in Milwaukee, so it’s not like we can rag on the guy too much. He won the division in his rookie managerial campaign of 2011. Since then it’s been a slow downhill slide in terms of Brewers finishes, including last year’s collapse. The Brewers are 7-18 to begin the year with a win today, and if you’ve watched them; they’re in a heap of trouble.